Fresh fruits and vegetables are both nutritious and delicious and play an important role in good health. As you enjoy fresh produce it is important to handle these products safely in order to reduce the risks of foodborne illness. Harmful bacteria that may be in the soil or water where produce grows may come in contact with the fruits and vegetables and contaminate them. Or, fresh produce may become contaminated after it is harvested, such as during preparation or storage. Help protect yourself and your family from illness by following these safe handling tips. Buy produce that is not bruised or damaged. When selecting fresh-cut produce—such as half a watermelon or bagged mixed salad greens—choose only those items that have been refrigerated or surrounded by ice. Keep fresh fruits and vegetables separately from meat, poultry and seafood products when packing them to take home from the market. 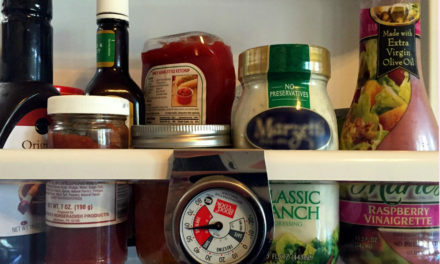 Certain perishable fruits and vegetables (like strawberries, lettuce, herbs and mushrooms) keep best stored in the refrigerator at 40 °F or below. For specific storage recommendations, see HGIC 3483, Selecting and Storing Fruits & Vegetables. 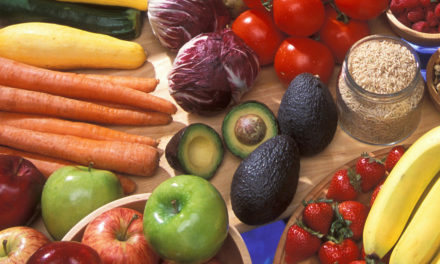 Do not store fresh fruits and vegetables below raw meats, poultry and seafood that might drip on the fresh produce. The drip can contain harmful bacteria that can cause food poisoning. Store whole, unpeeled fruits and vegetables in perforated plastic bags, to maintain moisture but allow for air flow to discourage the growth of mold or bacteria. Fruits that will not ripen after they are picked should be refrigerated to increase their storage life. These include apples, cherries, grapefruit, grapes, oranges, pineapple, strawberries, tangerines and watermelon. Fruits that continue to ripen after they are picked should be kept at room temperature until fully ripe. These include apricots, bananas, cantaloupe, kiwi, nectarines, peaches, pears, plantains, plums and tomatoes. To speed up ripening, keep at room temperature in a loosely closed brown paper bag. Check daily and eat or refrigerate when ripe. Store fruits in a separate drawer from fresh vegetables. Some fruits give off ethylene gas which can cause vegetables to spoil. Common fruits that produce ethylene include apples, apricots, avocados, ripening bananas, cantaloupes, figs, honeydew melons, nectarines, peaches, pears, persimmons, plantains, plums, prunes and tomatoes. Fruits can also absorb undesirable odors from vegetables. Once fruits and vegetables are peeled or cut, they should be stored in the refrigerator covered with plastic wrap. Cut away any damaged or bruised areas on fresh fruits and vegetables before preparing and/or eating. Produce that looks rotten or moldy should be discarded. Many pre-cut, bagged produce items like lettuce are pre-washed. If so, it will be stated on the packaging. This pre-washed, bagged produce can be used without further washing, or as an extra measure of caution, it can be washed just before serving. Pre-cut or pre-washed produce in open bags should be washed before using. All unpackaged fruits and vegetables, as well as those packaged and not marked pre-washed, should be thoroughly washed before eating. This includes produce grown conventionally or organically at home, or produce that is purchased from a grocery store or farmer’s market. Wash fruits and vegetables under running water just before eating, cutting or cooking. Wash cutting boards, dishes, utensils and countertops with hot water and soap after preparing raw meat, poultry and seafood products and before preparing produce that will not be cooked. Another option is to keep separate cutting boards for raw produce and raw meats. For added protection, kitchen sanitizers can be used on cutting boards and countertops periodically. A solution of one teaspoon of chlorine bleach to one quart of water may be used as a disinfectant. Plastic and other non-porous cutting boards may be washed in the dishwasher. Most of the juices sold in the U.S. are processed (for example, “pasteurized”) to kill harmful bacteria. But when fruits and vegetables are fresh-squeezed and left untreated, harmful bacteria from the inside or the outside of the produce can become a part of the finished product. Those at risk for foodborne illness should not drink unpasteurized juice unless it is brought to a boil first. Some grocery stores, health food stores, cider mills and farmer markets sell packages and containers of juice made on site and not pasteurized or otherwise treated to kill harmful bacteria. These untreated products should be kept in the refrigerated section of the store or on ice, and must be labeled with the following warning: WARNING: This product has not been pasteurized and therefore may contain harmful bacteria that can cause serious illness in children, the elderly, and persons with weakened immune systems. Juices that are fresh squeezed and sold by the glass — such as at farm markets, at roadside stands, or in some restaurants or juice bars — may not be pasteurized or otherwise treated to ensure safety. Warning labels are not required for these products. If you or someone in your family is at risk for foodborne illness, and you cannot determine if a juice has been processed to destroy harmful bacteria, either don’t drink it or bring it to a boil to kill any harmful bacteria that may be present. Raw sprouts that are served on salads, wraps and sandwiches may contain bacteria that can cause foodborne illness. Rinsing sprouts first will not remove bacteria. Home-grown sprouts also present a health risk if they are eaten raw or lightly cooked. To reduce the risk of illness, do not eat raw sprouts such as bean, alfalfa, clover or radish sprouts. All sprouts should be cooked thoroughly before eating to reduce the risk of illness. This advice is particularly important for children, the elderly and persons with weakened immune systems, all of whom are at risk of developing serous illness due to foodborne disease.